SHANGHAI (Reuters) - The head of a major bitcoin exchange in China says few people there use the cryptocurrency to get around rules on how much money they can take out of the country, and despite a publicized meeting with the central bank last week the exchange, BTCC, hasn't been told explicitly to check capital outflows. 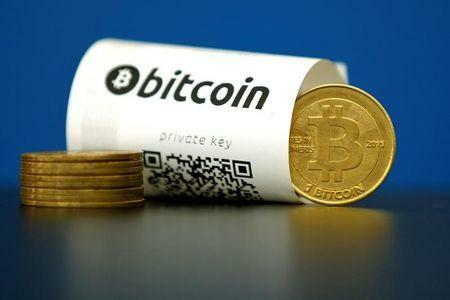 Bitcoin's price took a steep dive on Friday after China's central bank cautioned investors to take a rational and careful approach to investing in the digital currency. The price had surged to record highs. The central bank's comments come as Beijing escalates a campaign to check capital outflows and slow the depreciation of the yuan currency <CNY=CFXS>, which lost nearly 7 percent of its value against the U.S. dollar last year. With bitcoin's soaring price and the relative anonymity it affords, some believe the digital currency was becoming an attractive option for tech-savvy Chinese to hedge against the yuan and circumvent rules that limit individuals to $50,000 of foreign exchange each year. The Shanghai office of the People's Bank of China (PBOC) said on Friday it had met with BTCC to understand the platform's operations, highlight the risks, remind the exchange to abide by the law, and "urge the platform to carry out self-examination and corresponding clean-up and rectification" according to law. Asked if BTCC had received direct pressure on outflows, CEO Bobby Lee, who founded BTCC in 2011, said: "No. Not as of yet... Nothing verbal or written to us." In Beijing, the PBOC told two of China's other big bitcoin exchanges, Huobi and OKCoin, not to mention the depreciating yuan when advertising their platforms, the influential news outlet Caixin said, citing people familiar with the meeting. "The industry can benefit from balanced, risk-based regulation and/or oversight, and we look forward to further constructive discussions with the regulators and industry participants," Xu told Reuters in an emailed comment. Huobi's chief operating officer Zhu Jiawei said in an emailed response to Reuters queries that Huobi plans to work with other bitcoin firms to establish an alliance and rules to self-govern the industry. While it's possible to buy bitcoin with yuan and then sell it abroad for a foreign currency, BTCC's Lee said "to be honest, not many" people were doing it because of the cost. "For that range, you're not going to be able to do it at a good rate. You're going to lose 10 percent of your money," Lee said. "Maybe the individual household might buy 20,000 more dollars worth of bitcoin than their $50,000 (forex) quota, but that's a drop in the bucket." Still, Lee said various indicators, like active trading accounts, new users, actual deposits and withdrawals, were "very active" in China, and some key BTCC metrics were at "all-time highs", though he declined to be more specific. Bitcoin is not regulated in China, but the PBOC has declared it is not legal tender, and is instead a "virtual good", Lee said. That puts it in the same category as other goods. "If I pack a suitcase and take a plane to the United States, do the clothes, does the computer in my suitcase, does the watch I wear count towards capital flight?" he said. "Where do you draw the line?" In a statement on its website, BTCC, which calls itself the world's longest running bitcoin exchange, said it regularly meets with the PBOC and "work(s) closely with them to ensure that we are operating in accordance with the laws and regulations of China."